Numerous scientific studies suggest that Eleuthero sinensis or Siberian Ginseng is a powerful adaptogenic herb that has been shown in studies to help protect against the effects of physical and mental stress. It has been carrying a plenty of benefits in eastern medicine for thousands of years, enjoying a history of both safety and effectiveness. 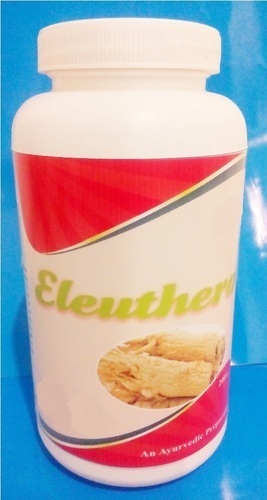 The eleuthero roots used in this product arecarefully selected based on their high eleutheroside concentrations, the plant's active therapeutic compoundsdelivering maximum effectiveness. lifecarelove leading provider of Unique Natural Healthcare Products like Capsules Drops, Exotic Juices, Powders,Tea, FMCG, Personal Care, Beauty and cosmetic products, Home Care Products, Weight Management Products, 100%, Organic Agricultural Products, Energy Saving Solution, Health equipments, and many more.